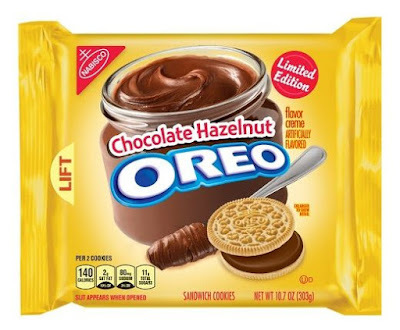 Oreo releases two new limited edition flavors, Chocolate Hazelnut and Hot & Spicy Cinnamon to welcome 2018. Chocolate Hazelnut draws upon the popularity of Nutella (and similar chocolate hazelnut spreads) and features Golden vanilla wafers with chocolate-hazelnut-flavored creme. 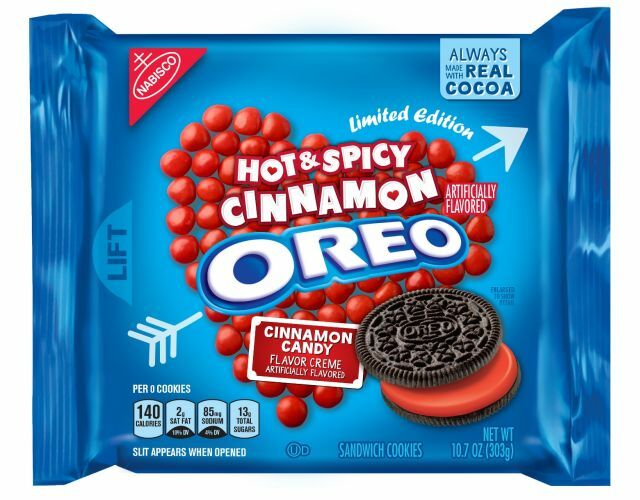 Hot & Spicy Cinnamon Oreos strike a Valentine's Day theme and consists of chocolate Oreo wafers with cinnamon-candy-flavored creme. Both are available for a limited time at retailers nationwide and come in 10.7-oz packages for about $3.